Body of volcanic pumice. Structures can withstand the load of an element chimney (not for Carat and Carisma). If the masonry stove is installed against a combustible wall Keddy firewalls can be used as protection behind the stove. Primary and secondary combustion air - from the room or from outside - is applied below the base into the stove. Sturdy hot air grilles in cast iron for large amounts of hot air. Connecting pipe to the chimney provides extra heat effect. Heat storage in olivine stone for nice warmth long after the fire is extinct. Hearth in cast iron with an efficiency of 80 percent. Smooth grounded doors with perfect fit gives a dense and safe fireplace. Ceramic high quality glass that can withstand extremely high temperatures. The combustion air is adjusted by the damper control under the fireplace. An optional fan with variable speed generator. 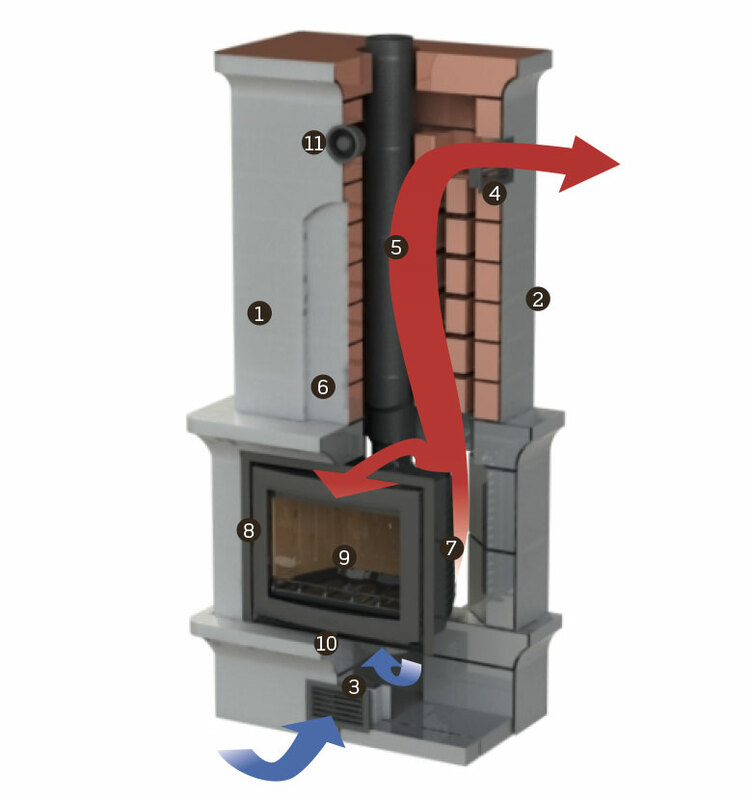 With fan the masonry stove delivers a fast heat distribution.